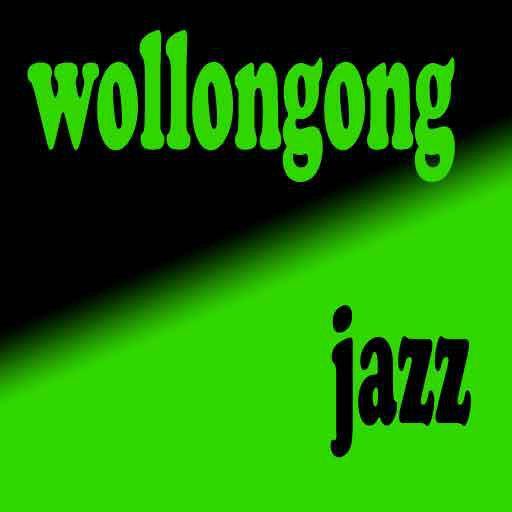 Welcome to Wollongong Jazz, an e-bulletin to keep you informed about jazz in Wollongong. It includes this website, a Facebook page, and an email list. The email list is used by Wollongong Conservatorium of Music to help promote the Con Jazz Series. Wollongong Conservatorium is not accountable for the content of this site or the Facebook pages. 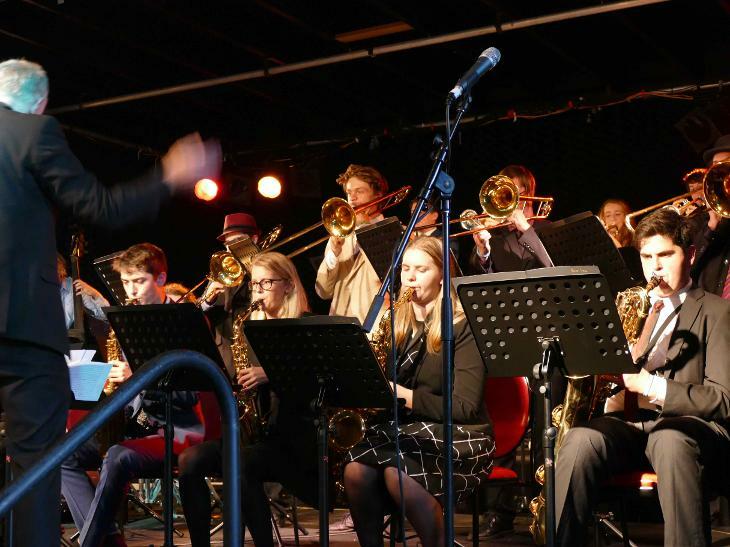 All of the Combos, Big Bands and Ensembles that make up the Wollongong Conservatorium of Music Jazz Program will perform in various rooms around the picturesque Wollongong Conservatorium of Music campus at Glennifer Brae. This a free event, so bring family and friends! 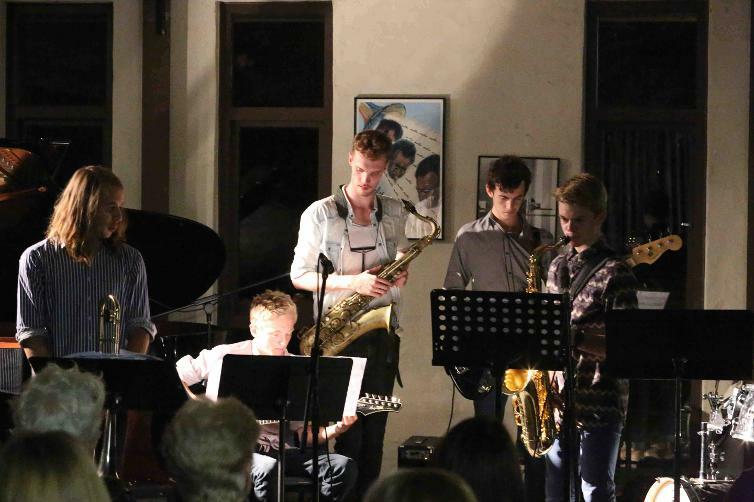 Since 2001 the Wollongong Conservatorium has been a hot spot for jazz education. Under the direction of Eric Dunan, a professional trumpet player from San Francisco, the program has seen a large number of former students go on to become some of the most respected jazz artists in the country. This performance will see the return of several former students coming back to perform some high energy contemporary big band music along side some of the next generation of jazz stars. 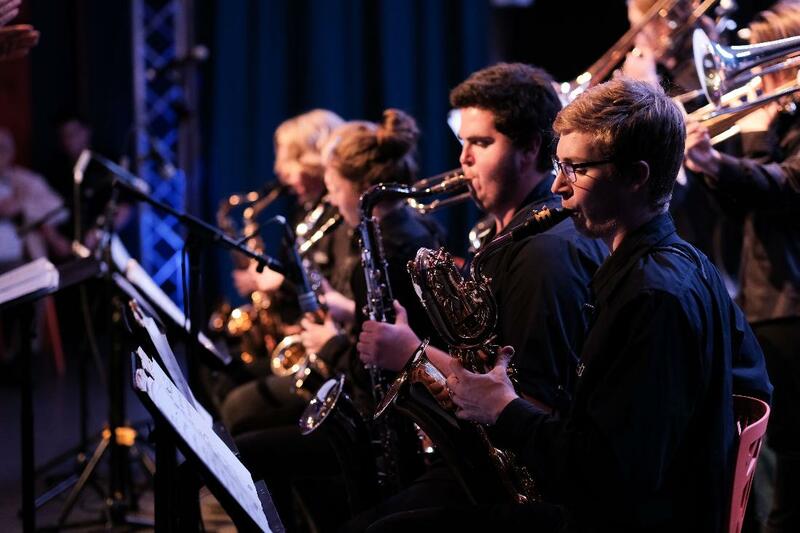 The award-winning Wollongong Conservatorium Jazz Orchestra is the flagship ensemble of the highly regarded jazz program at the Conservatorium. 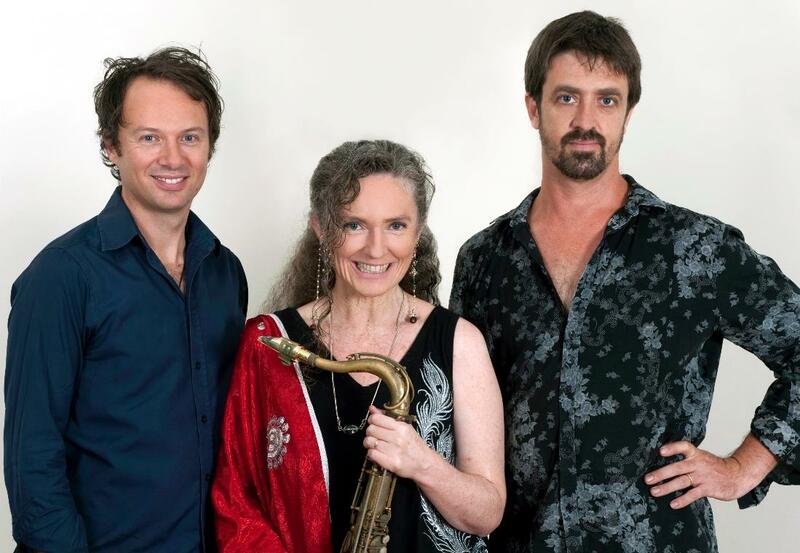 The band has toured internationally and performed with numerous Australian jazz artists including Sandy Evans, James Morrison, and James Greening. 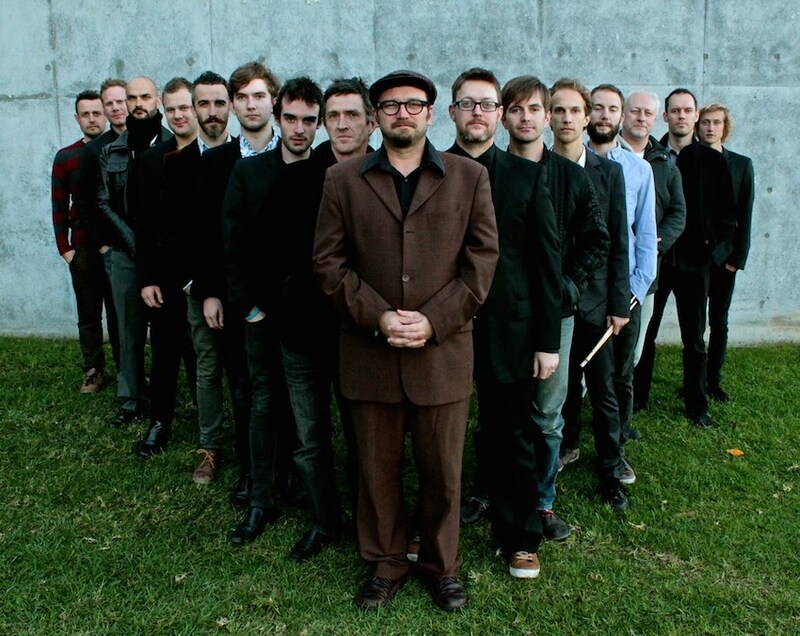 In 2018 the jazz orchestra premiered two new works by Australian composer Jeremy Rose of The Vampires on a tour of the West Coast of America. This concert will feature five special guests making it a truly special event. 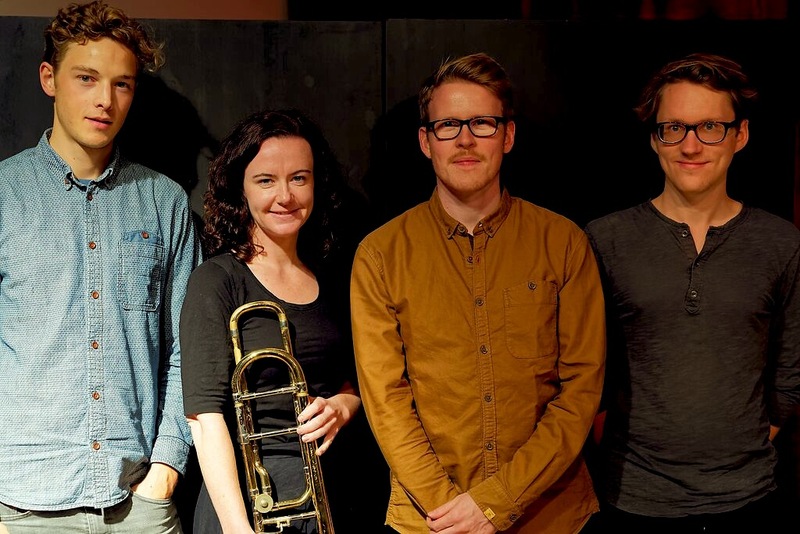 music scene, trumpeter Tom Avgenicos’ quartet, with pianist Roshan Kumarage, bassist Dave Quinn and drummer Ashley Stoneham, is a very welcome fresh and exciting addition to Sydney’s current live music scene. A band to watch!" - Mike Nock. Led by ARIA award winning saxophonist Dr Sandy Evans (OAM) and featuring leading Australian jazz musicians Brett Hirst (Mike Nock James Muller, Vince Jones) on bass and Toby Hall (Don Burrows, James Greening, Roger Manins) on drums, the Sandy Evans Trio explores the intersections between diverse expressive and musical concepts in a contemporary jazz context. 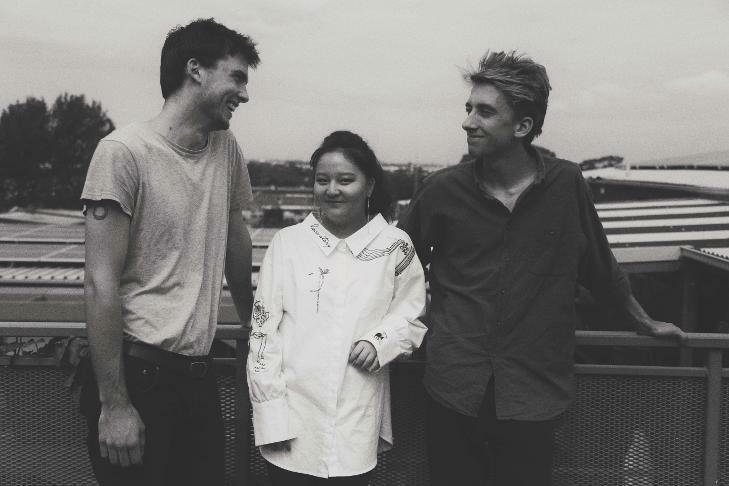 Since its debut at The Australian Jazz Festival in Canberra, the trio has performed at many of the leading jazz clubs around Australia and has toured Canada and Europe, where they played to a sell out audience at the prestigious JazzFest Berlin. Prepare to be awestruck with modern mastery, soaring saxophone lines and transcendental rhythms. Caribe is an ambitious and exciting exploration of Cuban-inspired dance and music. It combines the talents of Sydney-based Cuban dancer Adrian Medina with a star-studded lineup of eight musicians from Sydney's Latin and jazz communities performing saxophonist Gai Bryant's dazzling compositions of rumba, son, guajira, cha cha and Cuban jazz. 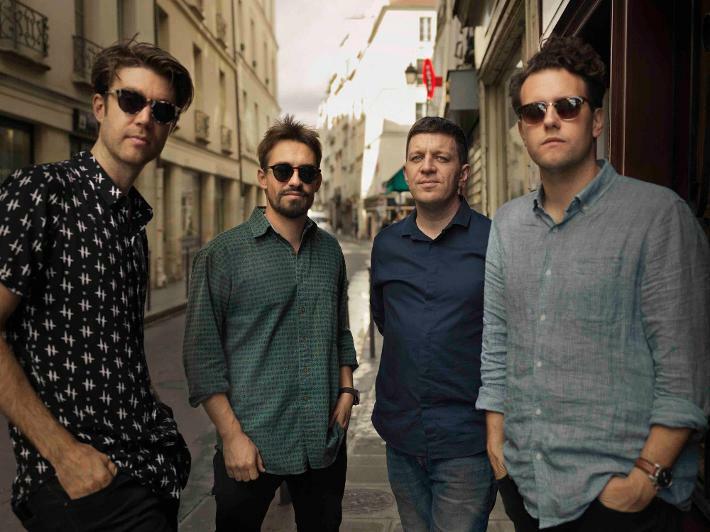 A successful 2018 saw the group play to full houses with Grammy-nominated Cuban pianist Elio Villafranca and work with Uruguayan platinum recording artist Gonzalo Porta. A truly unique show not to be missed! 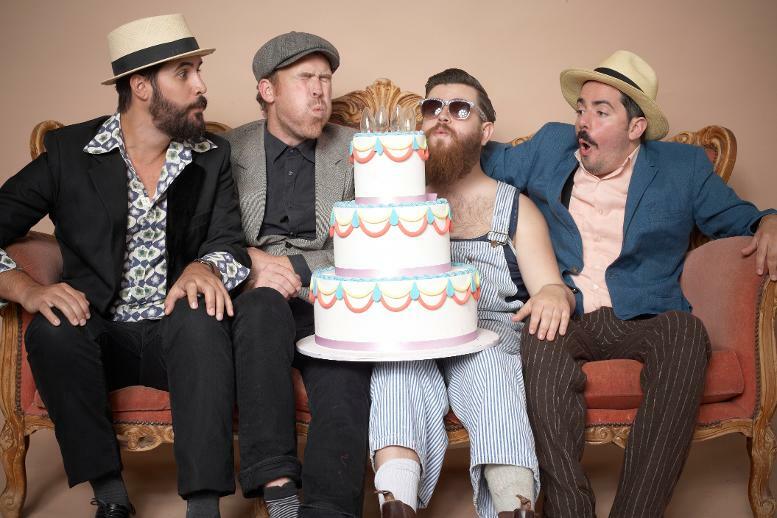 In their 10th year The Cope Street Parade are considered one of Australia’s most established high energy music ensembles. They blend spicy rhythms with unique song writing that span the genres of folk, pop, gypsy and swing. With tender ballads and rollicking dance numbers they capture the spirit and warmth of early music styles and successfully blur the lines between the contemporary and the classic. Influences include Louis Armstrong, Louis Prima, Father John Misty and Leadbelly. This is Australian swing music. The hot sounds of gypsy swing mixed with element of New Orleans traditional jazz meld together is a hotpot of cold beers and sunshine to create a style of music that sounds both new and old yet always uniquely Australian. Think if Django Reinhardt met Louis Armstrong in a good old country pub. 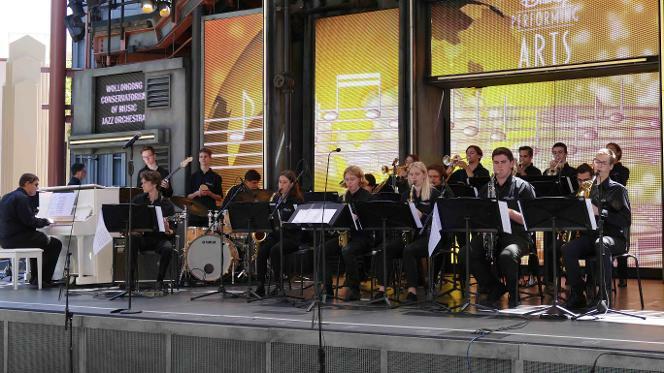 Formed in 2009, The Parade has performed at major music festivals and venues across Australia, such as the Wangaratta Festival of Jazz, Sydney Festival, Bellingen Winter Festival, Manly Jazz Festival, Jazzgroove Summer Festival. 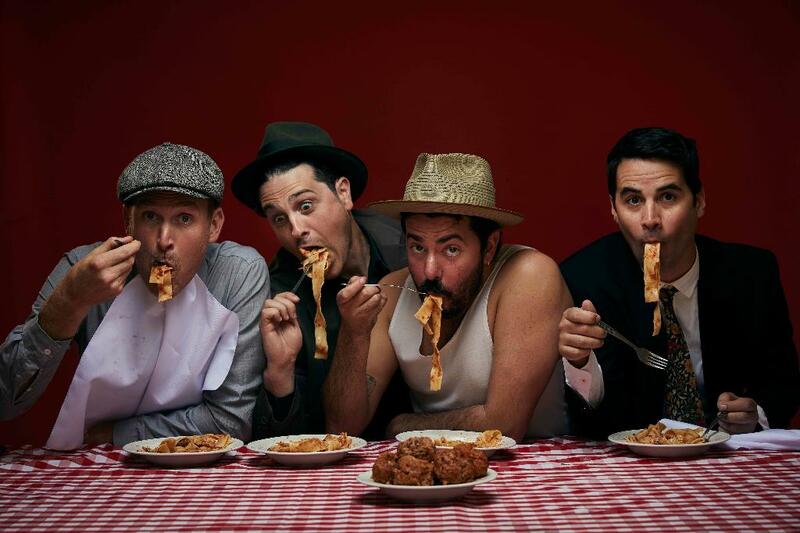 In 2018 they toured Europe for the first time performing 25 concerts in Italy and Sicily. The band has also been lucky enough to collaborated with Lulo Reinhardt, Dan Barnett, Geoff Bull, Bob Henderson and Bob Barnard. Their self-titled debut album was released in 2010 and since then they have released six studio albums to rave reviews and captivated audiences across the country. 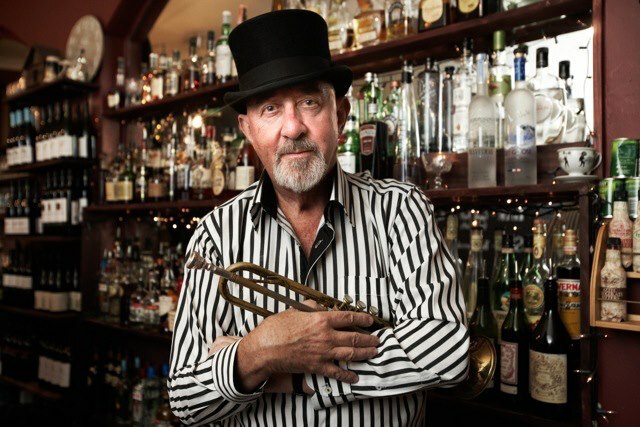 For this special concert, Cope St will be joined by legendary trumpeter, Geoff Bull. 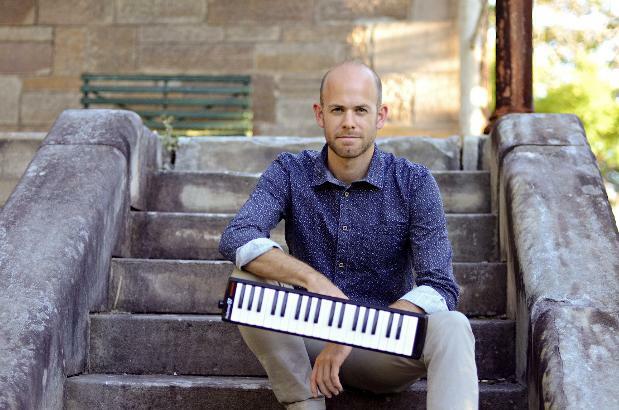 This February, the 2018 Freedman Fellowship winner Nick Garbett will present his award winning set of original composition in his home town of Wollongong. 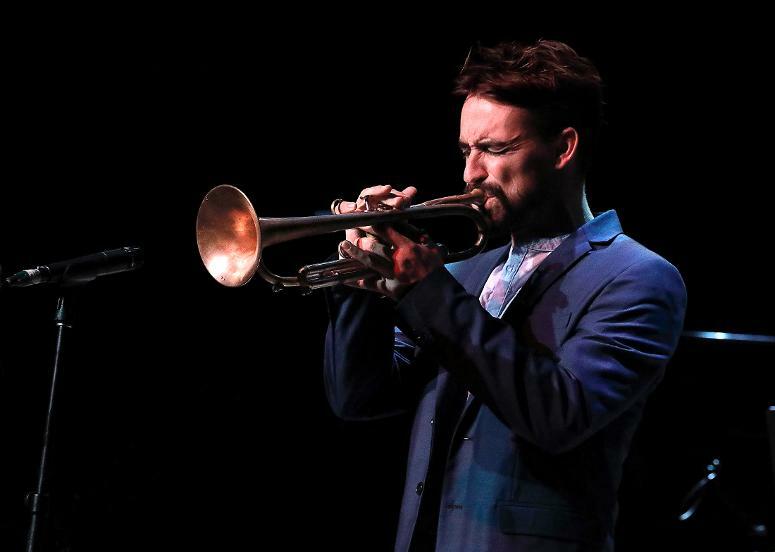 Originally from Otford and a former student of the Wollongong Conservatorium, Garbett has gone on to establish himself as one of Australia’s premiere trumpet players. As well as his solo achievements, he co-leads the multi award-winning jazz/roots/reggae outfit, The Vampires and is a feature member of The Strides and Watussi. This intimate concert will also feature ARIA award-winning bassist Jonathan Zwartz and stellar band of young stars. Definitely not to be missed! 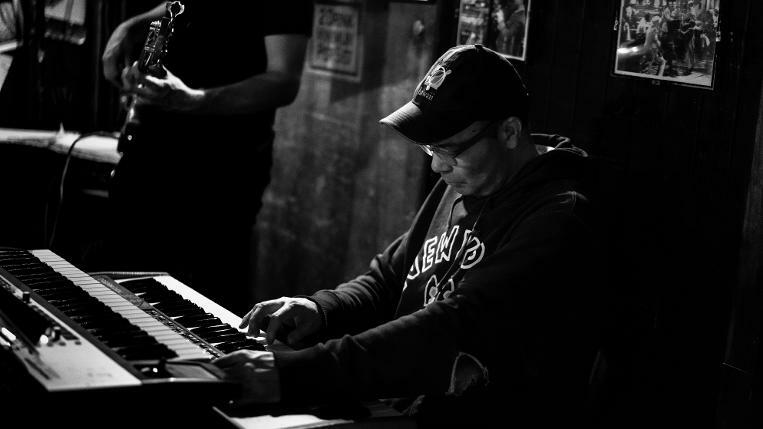 New York based Australian pianist Sean Wayland is regarded by many as one of the finest jazz musicians this country has produced. Since moving to New York in 1999 Wayland has gone on to release over 30 critically acclaimed albums as well as racking up numerous individual awards for his outstanding playing. During his illustrious career, Wayland has played and recorded alongside iconic names such as Roger Frampton, Donny McCaslin, Wayne Krantz , David Binney, Ingrid Jensen, Dale Barlow, and countless more. For this intimate performance at the Wollongong Con Auditorium - His first for many years - Wayland will be joined by National Jazz Award Winner, Alex Hirlian on drums. Speak Satellite is a new initiative of the Wollongong Conservatorium of Music to showcase young, progressive and forward thinking artists creating new and diverse music. For the 2018 Wollongong Writers Festival Speak Satellite is teaming up with Enough Said Poetry Slam to present a cross media extravaganza of cutting edge music and poetry featuring long-form improvised music groups, Czarektrio and Improper Citation as well as several of the regions best young spoken word artists. For more information about this and other events at the WWF, click here. $10S/$15G online and at the door. Lachlan Hamilton - saxophone; Harry Sutherland - piano; Harry Morrison - bass; Patrick Danao - drums. Lachy Hamilton is fast becoming a well-known performer of the Australian music scene. 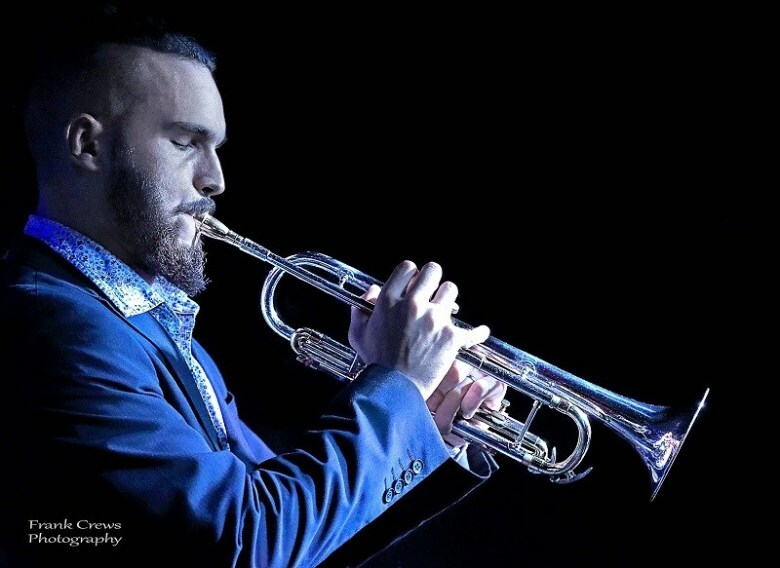 Originally from Sydney, Lachy has shared the stage with musicians including Patti Austin, Jeff Clayton, Mat Jodrell, Troy Roberts, The Melbourne Symphony Orchestra and recorded on the aria-nominated album “James Morrison and his Academy Orchestra”. This show forms part of an East-Coast tour with his quartet featuring fellow rising stars Harry Sutherland, Harry Morrison and Patrick Danao playing original compositions and arrangements of favourite standards. 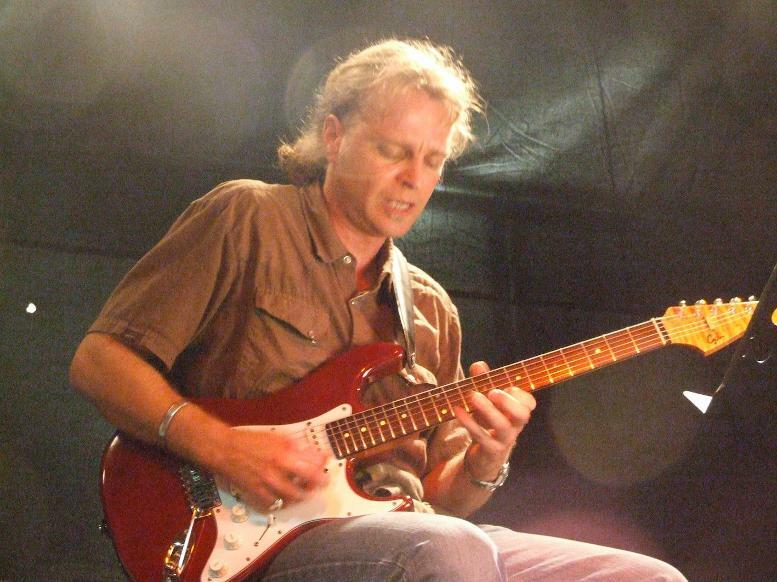 After to Paris in 2005, Australian guitarist Alex Stuart is returning home with his exciting new project "The Alex Stuart Group" featuring some of Frances finest musicians. As part of a National tour to promote their new release, "Aftermath," the group will play an intimate show at the Wollongong Conservatorium. The music features Stuart's original compositions inspired by his studies of West African Music and the Hindustani classical tradition of India. Members of his star studded quintet have played and recorded alongside some of the worlds best including De La Soul, Tony Allen, Pharaoh Sanders and Chucho Valdez. A truly unique concert not to missed! Bursting on to the national stage at 22 after winning the National Jazz Award in 1994, Julien Wilson is now widely regarded as one of Australia’s best saxophonists. 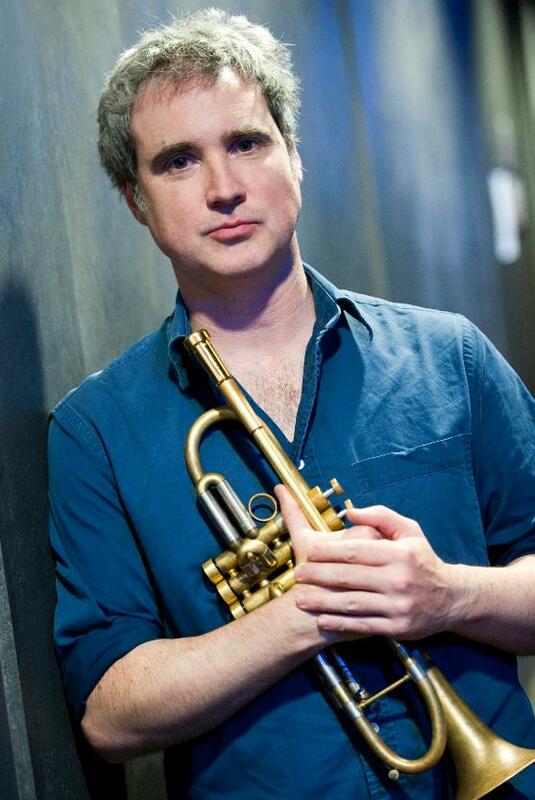 He is the recipient of a Bell Award for Australian Jazz Artist of the Year, an APRA Art Music Award for Excellence in Jazz as well as the Freedman Fellowship for Jazz and plays on countless award winning albums by Barney McAll, Stu Hunter, Jonathan Zwartz, Augie March, Andrea Keller, Kristin Berardi, Ben Salter & Sam Anning. Wilson’s own two albums released in 2013 & 2015 also received much critical acclaim including three Bell Awards. 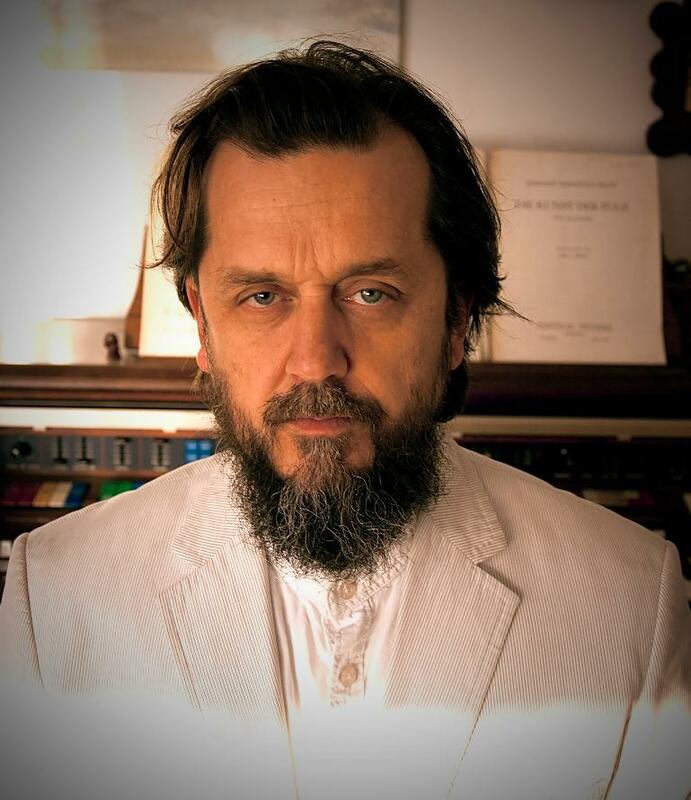 For this performance, Wilson will be presenting an electrified version of his quartet, formed in 2011, as a vehicle to showcase the more explosive, primal side of Wilson's musical personality. The inspiration stretches back to Ellington & Coltrane and forward to the latest contemporary non-genre-specific influences. This performance will see Melbourne based drummer/composer Aaron McCoullough launch his new release ‘Provenience’ - a reflection, and rediscovery of specific localities unique to the Illawarra region in New South Wales. 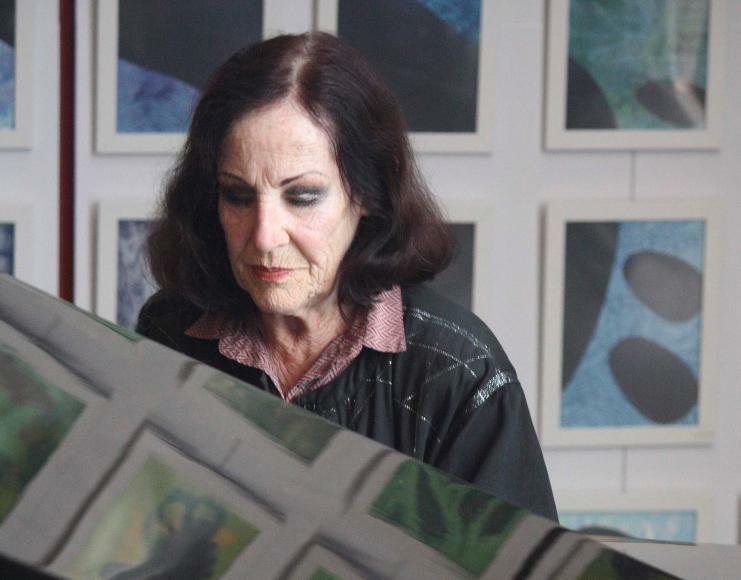 Born in Wollongong, Aaron relocated to Melbourne in 2004 to undertake studies at the Victorian College of Arts. Since completing his undergraduate studies, Aaron has been a mainstay of the Melbourne music scene as an accompanist, collaborator, and band leader fronting his own original projects with the result being two self released titles: 'Portrait of Thoughts' (2013), and 'Provenience' (2018). 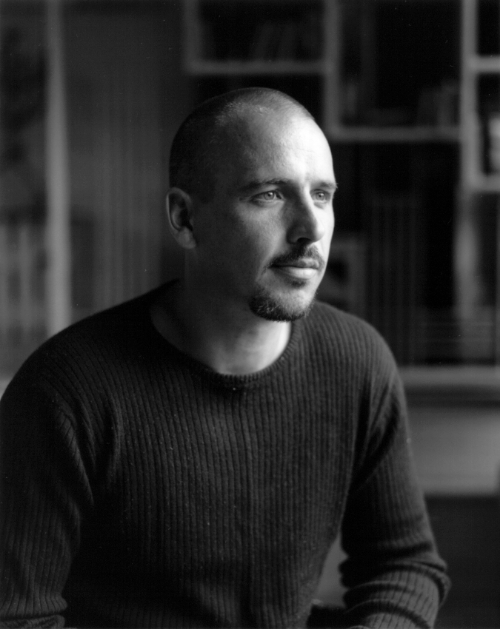 His work has been well documented with appearances nationally and internationally. These musical encounters have led to numerous tours of industry recognised recording projects. 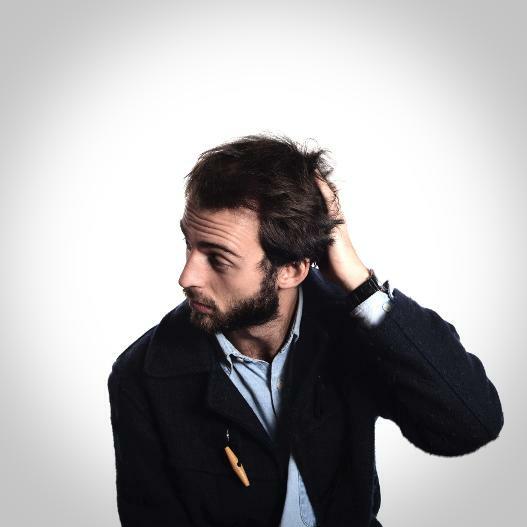 Alongside his performance practice of composer/drummer, Aaron is a current PhD candidate. Aaron proudly endorses Sakae Drums. $17G/$12C/$10S online or $20G/$15C/$10S at the door. 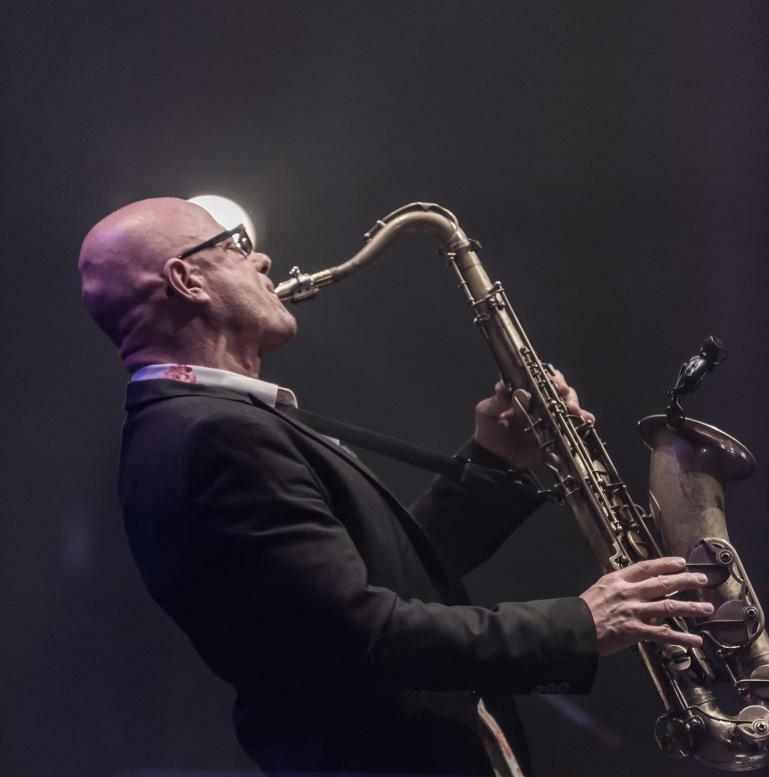 Saxophonist and educator Graeme Norris storied career has seen him perform alongside music icons as varied as Fankie Valli and Kenny Rodgers to James Morrison and Human Nature. A runner-up in the National Jazz Awards in 1994 Norris' skill and musicianship has taken him to New York where he is currently on faculty at the Manhattan School of Music. 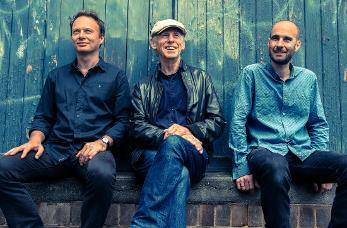 This concert will see Norris perform alongside Australian jazz legends Andrew Dickeson and Carl Dewhurst. Bungalow’s sound is sometimes introspective, sometimes bold and energized but always is highly emotionally engaging. The melodies are often simple, like folk music from the future. With their feet planted in the cool school of jazz, the Japanese based group maintains an emotional vulnerability; their beating hearts delivered up on spikes for the audience to devour. These four musicians strive to balance this openness and simple clarity, with their virtuosity and group interplay, to create musical landscapes that may indeed express the intangible. Featuring the 2017 National Jazz Award winning saxophonist, Mike Rivett, this unique ensemble is not to be missed. It seems the whole jazz world is talking about Evan Harris. 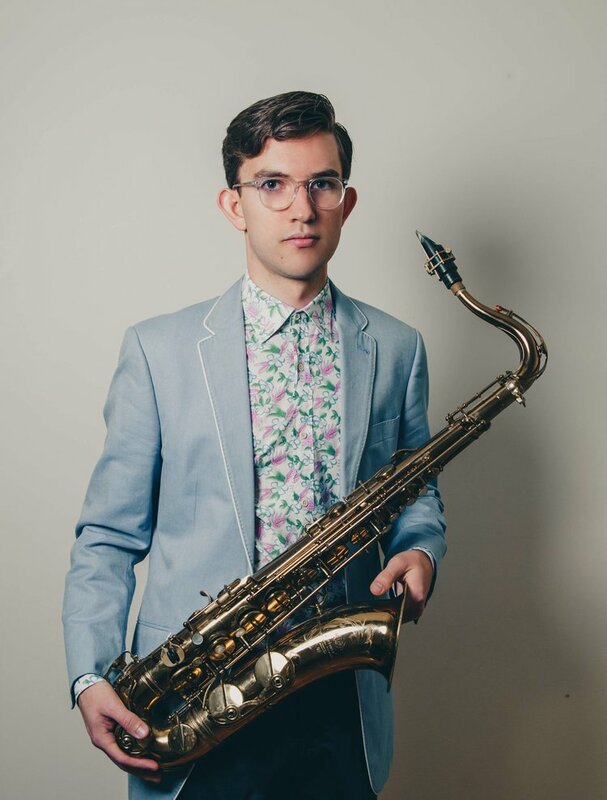 The precociously talented saxophonist has taken the fiercely competitive New York Jazz scene by storm since moving over to study at the famed Julliard School 2 years ago and in his fledgeling career has already played alongside icons such as Wynton Marsalis and Miguel Zenon. 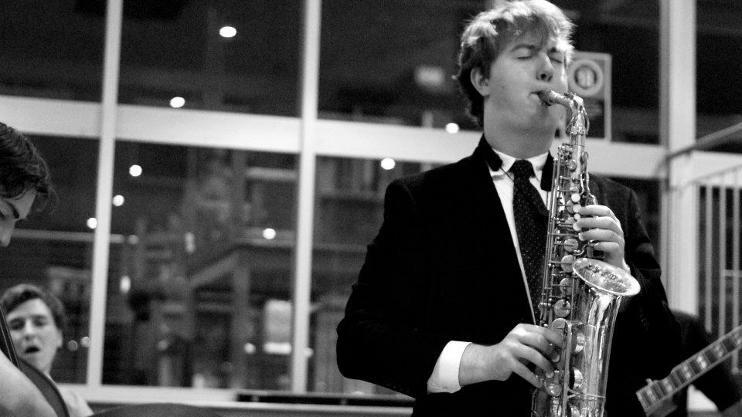 This concert is part of a national tour to promote his Bell Award nominated debut album Skylines which has garnered rave reviews from critics and fellow musicians alike and will feature star British alto saxophonist (and fellow NYC resident) Will Vinson. Not to be missed! 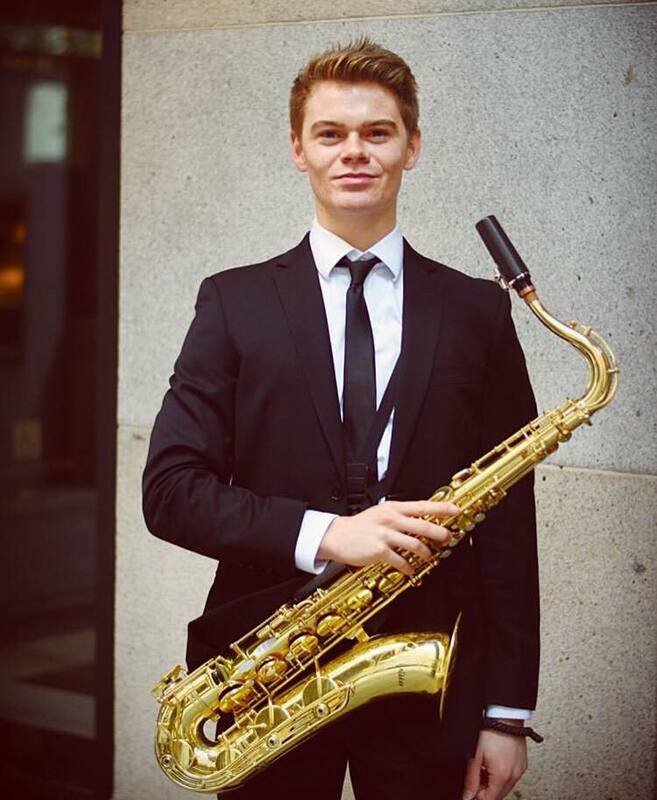 Wollongong's own Jayden Clark will return home from his studies at the prestigious San Francisco Conservatory for a special concert presenting his original compositions. The former Wollongong Conservatorium of Music student has forged a growing reputation as musician to watch on the international jazz scene and for this home-coming concert has enlisted the help of some fellow young jazz firebrands in Aaron Blakey (Dale Barlow), Thomas Botting (Mike Nock, Barney McAll) and Tim Geldans (Errol Buddle). 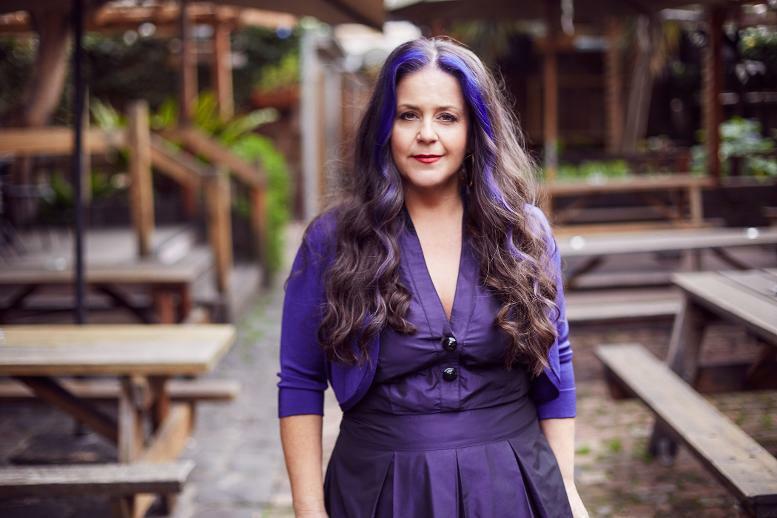 A Multi award-wining vocalist and composer Trish Delaney-Brown has forged an international reputation as a "musicians singer." 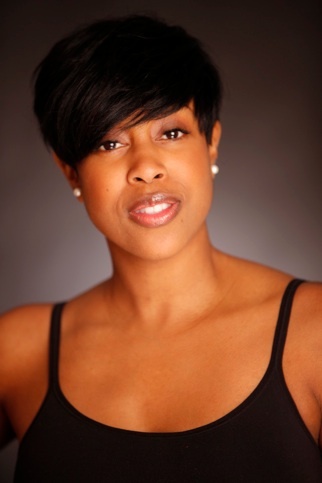 Formally trained in both classical and jazz styles, Delaney-Brown first rose to prominence as a founding member and soprano of the renowned a capella group Idea of North, performing with the group around the world for 15 years. For this concert Delany-Brown will perform selections of her own songs and choice standards with a band of Australian jazz luminaries. 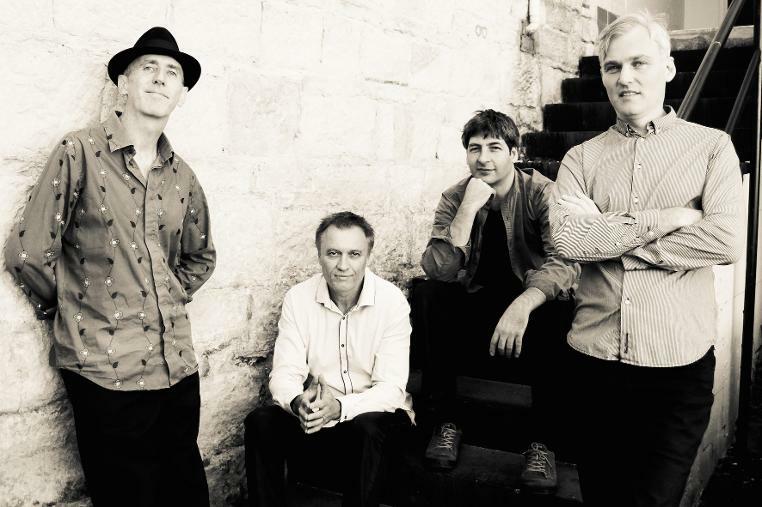 Sydney based world-roots-jazz quartet The Vampires are touring Australia in March. 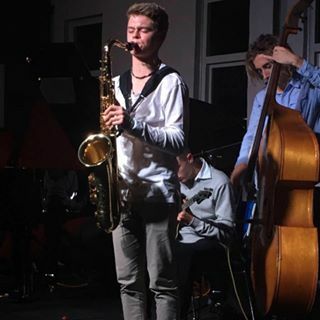 They will be joined by bassist Alex Boneham for his first Australian performances since 2014 when he moved to Los Angeles to study at the Monk Institute with the likes of Herbie Hancock and Wayne Shorter. Combining risk-taking improvisation, sophisticated compositions and an uncanny sense of dialogue between the sax-trumpet frontline, the band has developed a style of its own that effortlessly combines influences from all corners of the world. 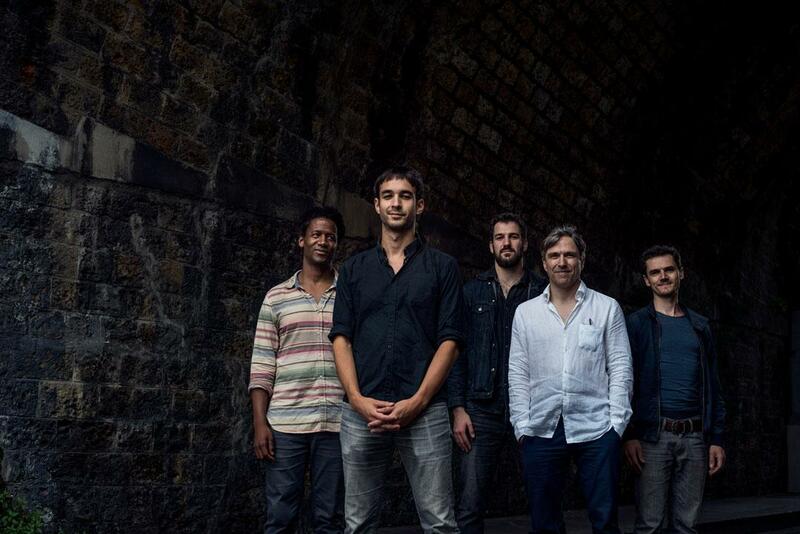 Recently, the band collaborated with one of the jazz world’s most talked about guitarists Lionel Loueke for their latest release 'The Vampires Meet Lionel Loueke’, which was nominated for an ARIA Award. The group also became the first instrumental band to be nominated for the prestigious Australian Music Prize in 13 years earlier this year. 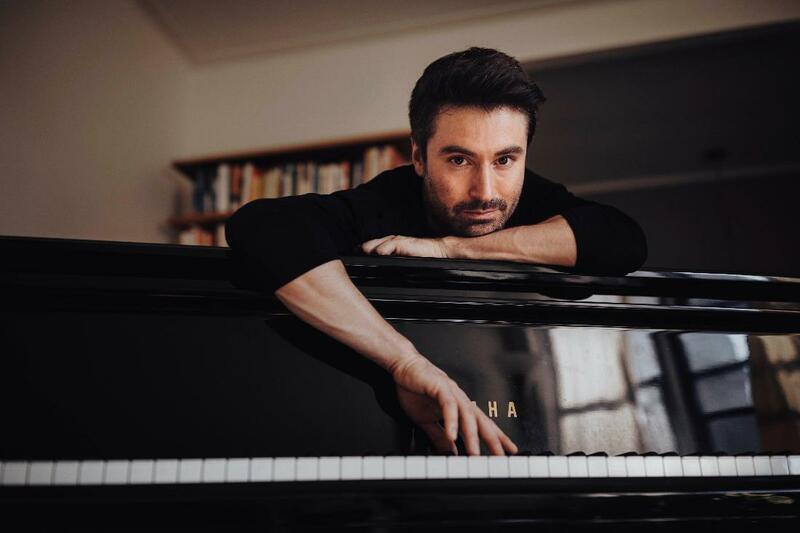 New Zealand born piano maestro, Steve Barry returns to the Wollongong Conservatorium of Music with the release of third album, Blueprints & Vignettes. For this performance, Barry will play selections from the new album, a product of his PhD studies at the Sydney Conservatorium of Music. Concert goers can expect the music to reflect Barry's parallel interests in jazz, free improvisation and 20th century classical music. The Bell award winning and National Jazz Award finalist will be joined by long time collaborators and Australian jazz stars in their own right Jeremy Rose (The Vampires) and Dave Goodman (Vince Jones, Mike Nock) for an intriguing night of new music. 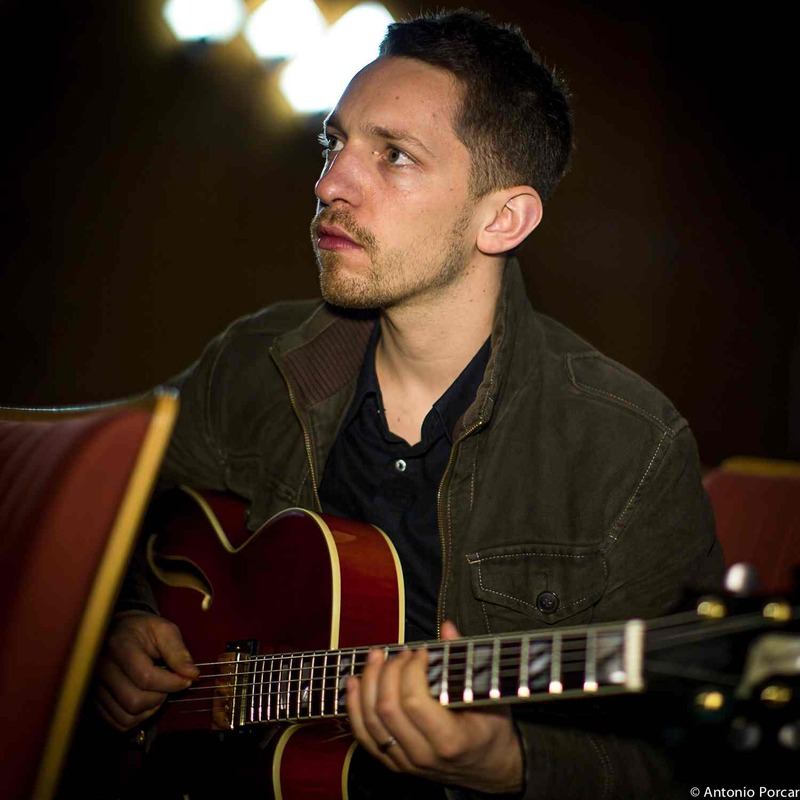 Prague based guitarist and educator Libor Smoldas has forged an impressive international resume which belies his relatively young age. Having recorded 7 critically acclaimed albums as leader as well as featuring on many others as a sideman, Smoldas has spent the last 5 years performing across the globe from New York to Istanbul with names such as Bob Montgomery, Jeff Ballad and Adam Nussbaum to name a few. For his second time playing at the Wollongong Conservatorium, Smoldas will be joined by two of Australia's finest in Darren Heinrich (organ) and Nic Cecire (drums) for a night of hard driving, organ infused jazz. January Jazz Series at Town Hall Chamber every Sunday in January 2018 from 2-5pm. All shows are free and family friendly. Mike Rivett - Sax, Carl Morgan - Guitar, Barney McAll - Piano, Alex Hirlian - Drums, Tom Botting - Bass. 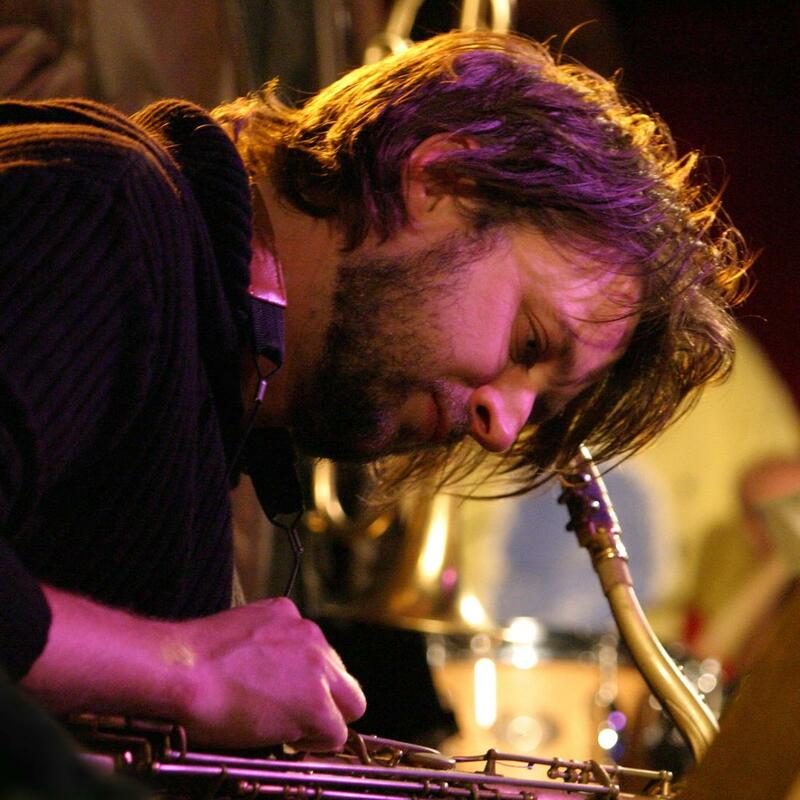 ARIA award winner, double Bell Award winner, The Age Victoria Award winner and AIR award winner; Barney mcAll is one Australia's most celebrated contemporary jazz musicians. 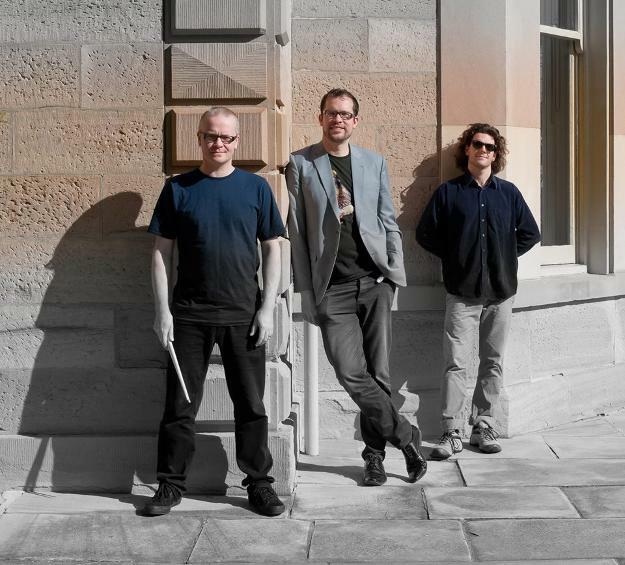 The critically acclaimed pianist and composer will present his ensemble, ASIO (The Australian Symbiotic Improvisers Orbit) for the first time in Wollongong to celebrate the release of the groups' brand new album and McAll's 12th as leader. 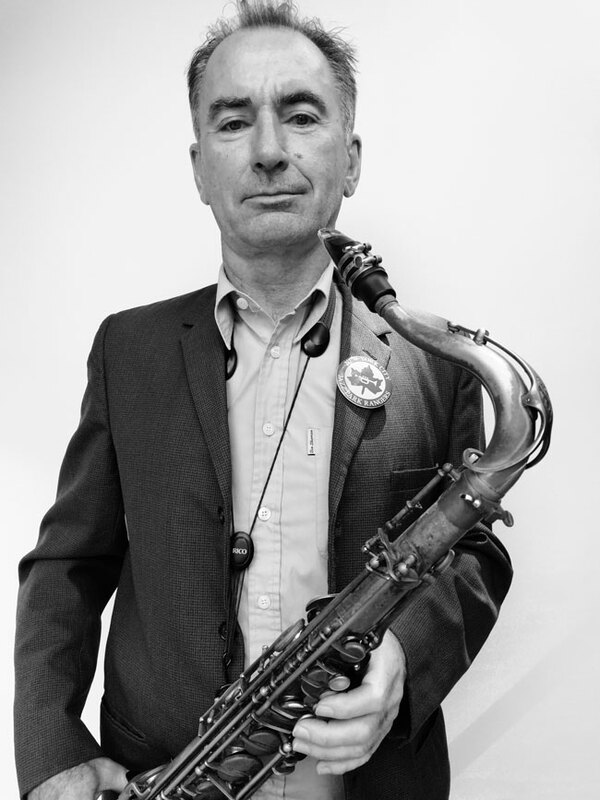 The ensemble features an all star line-up of Mike Rivett on Tenor Sax (2016 National Jazz Award Winner), Carl Morgan on guitar, Tom Botting on bass and Alex Hirlian on drums. Not to be missed! Come on down to the Wollongong con to hear the colours of Human Laser Experiment, now visible to the general public for the very first time! Music from 2pm, tickets $10 at the door. 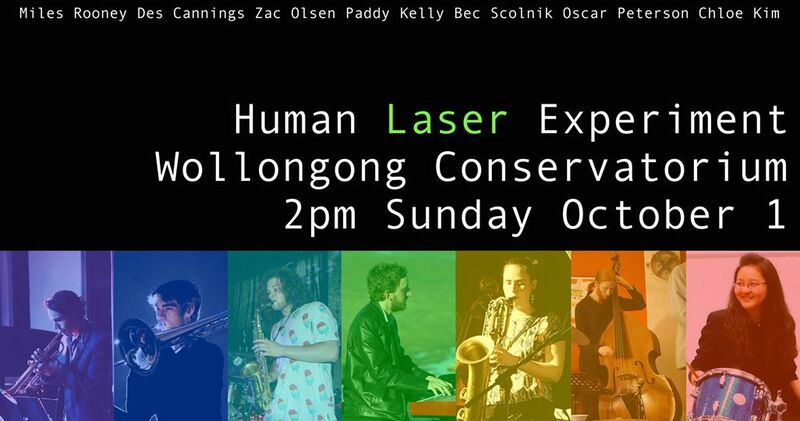 Featuring the compositions of Paddy Kelly, Human Laser Experiment is a musical exploration into the connection between sound and colour. With a style probably best expressed as "polyrhythmic jazz fusion", the band aims to keep the mind busy, but the feet busier. Rich acoustic harmonies blend into punchy unisons as they create a light show accessible to the ear alone. 17 September - Term 3 Jazz Showcase "In the City"
All the jazz groups from the Wollongong Conservatorium under the direction of Eric Dunan will perform in the Arts Precinct (The Courtyard in front of IPAC at 32 Burelli Street) and in the Town Hall Chamber (the alleyway behind IPAC) beginning at 12pm - 3pm. 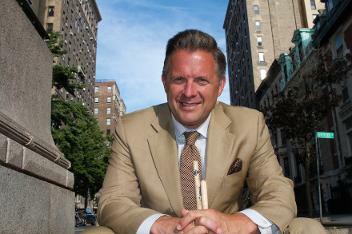 From 3-5 the Wollongong Con Faculty Jazz Quintet under the leadership of Eric Dunan will perform. FREE and family friendly event...so come on down and have a cuppa jazz! 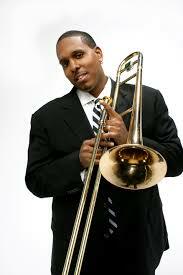 Chicago born jazz musician, Vincent Gardner is one of the world's most respected and well credentialed jazz trombonists. His credits are varied and numerous having played with acts as disparate as the Count Basie Orchestra and the Duke Ellington Orchestra to the Saturday Night Live Band and Matchbox 20. 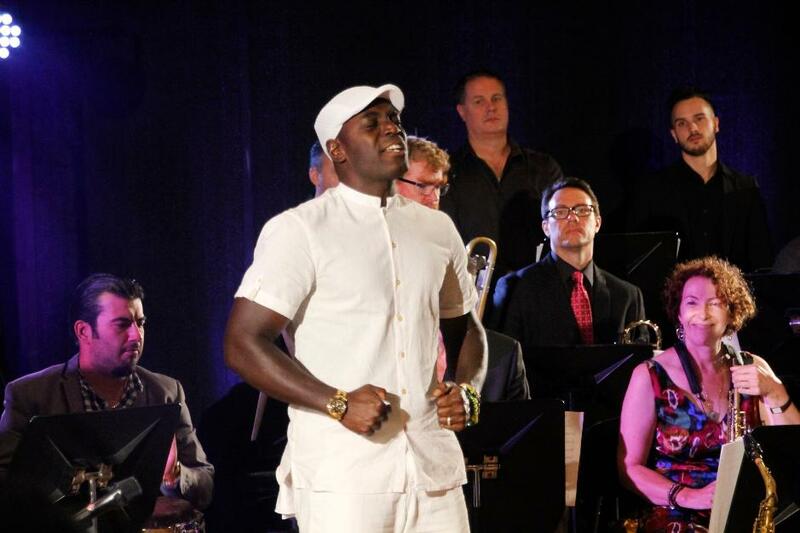 Winner of the 2014 Downbeat Magazine's "rising star" award as a bandleader in his own right, Gardner is the currently lead trombonist and a contributing composer for the famed Lincoln Centre Jazz Orchestra under the direction of Wynton Marsalis. Belinda Munro is a multi-talented singer, songwriter and actress and her many talents have seen her perform alongside mega-stars Luciano Pavaroti, Celine Dion and Mary J Blige. Don't miss this glittering duo perform in Wollongong for the very first time alongside a stellar band of Australian jazz stalwarts. 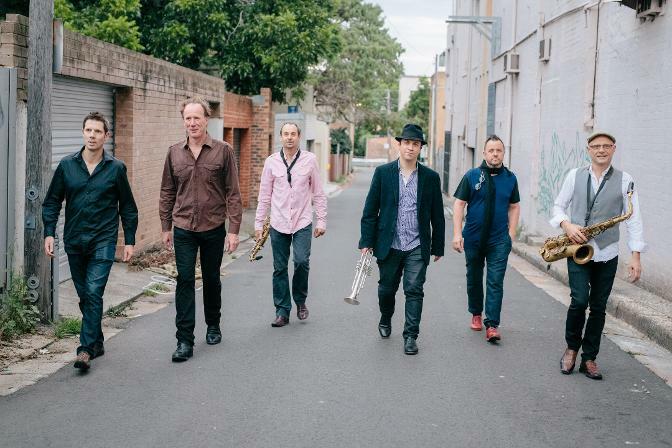 Bell award winning and APRA award nominated group "Way Out West" lead by trumpeter Peter Knight offers a unique alluring sound combining Asian, African and jazz influences. This unique sound has earned the group a loyal local following as well as invitations to play some of the largest festivals and venues around the world. 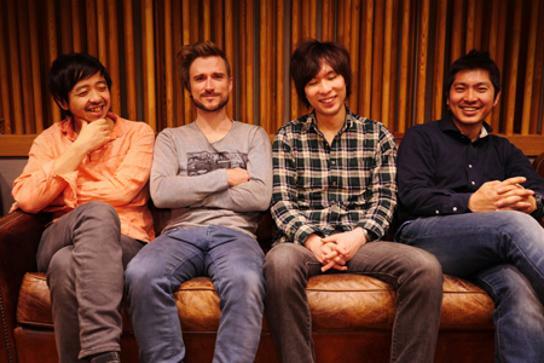 Their intriguing new project features Sydney based koto virtuoso Satsuki Odamura and builds on the band's long history of Asian instrumentation and approaches in a contemporary setting that infuses these influences with West-African groove and jazz melodies. Don't miss Way Out West's debut performance at the Wollongong Con. 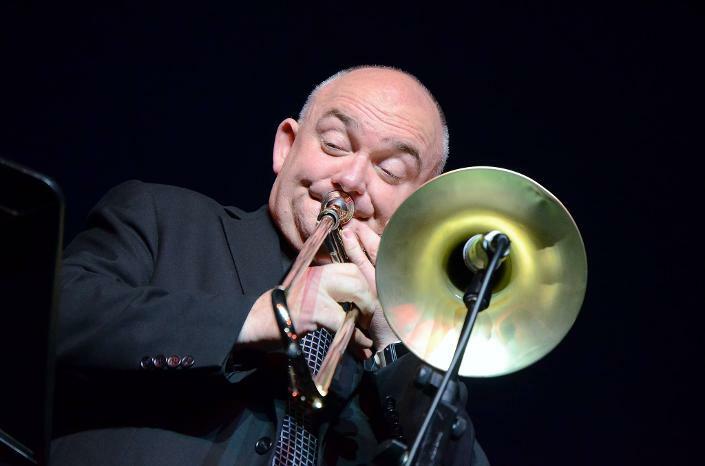 Award winning trumpeter and composer, leader (or co-leader) of Sun Songbook, Band of Five Names, Daorum, and Trace Sphere and lecturer at the Sydney Conservatorium of Music, Phil Slater is widely considered one of the country's finest trumpeters. He has performed and recorded with many artists including Archie Roach, Mike Nock, Baecastuff, Katie Noonan, Paul Grabowsky, the Australian Art Orchestra, Sandy Evans, Pnau, DIG, Vince Jones, Missy Higgins, Lou Reed, Martha Wainwright, Jonathan Zwartz, Steve Hunter, and Nigel Kennedy. Winner of the National Jazz Award, the Limelight Award for ‘Outstanding Contribution to Australian Jazz’, the Bell Award for Australian Jazz Musician of the Year, the Bell Award for Contemporary Jazz Ensemble of the Year (Phil Slater Quartet) and the Music Council of Australia Freedman Fellowship, Slater will bring his prodigious talent and his eponymous quintet featuring an all-star cast of Australian jazz masters to the Conservatorium Auditorium on July 28th to play his highly acclaimed compositions. Jayden Clark - Saxophone, Freyja Garbet - piano, Alex Inman-Hoslip - drums, Joshual Spolc - bass. Jayden Clark will lead this group of young lions in a performance of his original music. A few weeks after this gig, Jayden will be moving to San Francisco to partake in a four year study at the San Francisco Conservatory of Music in Jazz Studies. 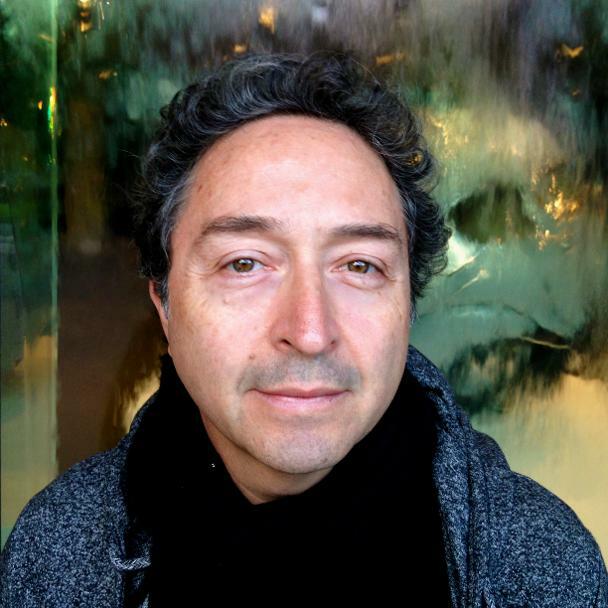 Far Beyond is the gathering of many years of playing and composing by its Chilean born leader Fabian Hevia. The music draws from the rich musical tapestries of South America and the influences of Jazz. The star studded line up brings a unique vibrancy to Hevia's compositions. An afternoon of jazz featuring the award-winning student combos and ensembles in three venues on site at the Wollongong Conservatorium of music. The termly Jazz Showcase serves to highlight the hard-working students of the Conservatorium in groups both large and small lead by the highly acclaimed staff of the jazz faculty. 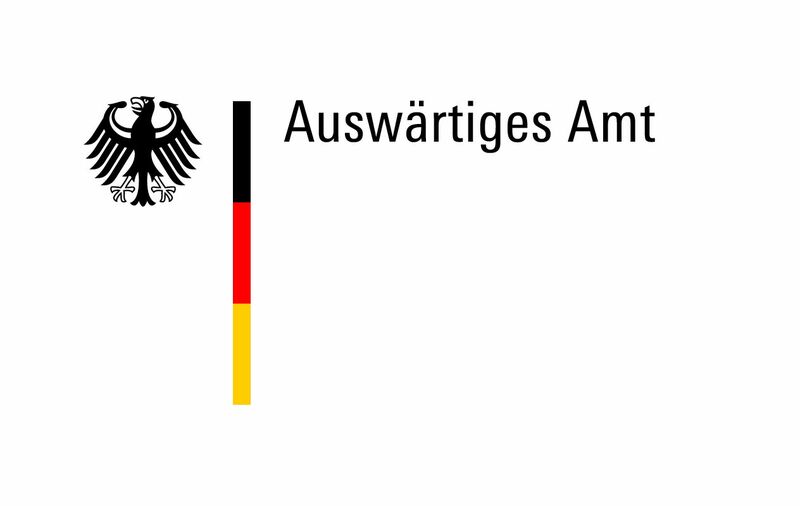 Jens Hoppe has been performing for over 25 years. He’s recently finished his masters degree in Jazz at the Sydney Conservatorium of music and has been on staff teaching jazz guitar at the Wollongong Conservatorium Music for 15 years. Pianist Nick Southcott and drummer Dave Goodman have been performing with Hoppe since his early years as an undergrad. The addition of Max Alduca, who plays with Goodman and Southcott in Trioflight rounds out the group perfectly. The music is textural treat featuring some bop influenced songs with influences of Dave Frisell and Kurt Rosenwinkel. Combining infectious grooves, emotive melodies, risk taking improvisation and extreme dynamics, the Daniel Susnjar Afro-Peruvian Jazz Group radiates a joyful energy that infects not just the band members but the entire room. Their debut album "Su Su Nje" won the group two Bell Awards in 2015 and Daniel himself has twice been nominated for the prestigious Freedman Jazz Fellowship in 2015 and 2016. Performing for the very first time in Wollongong at the Conservatorium, this stellar, award-winning ensemble is not to be missed. The Three Seas combine elements of Indian folk music with a western style of song form and production in a band full of engaging performers from India and Australia. 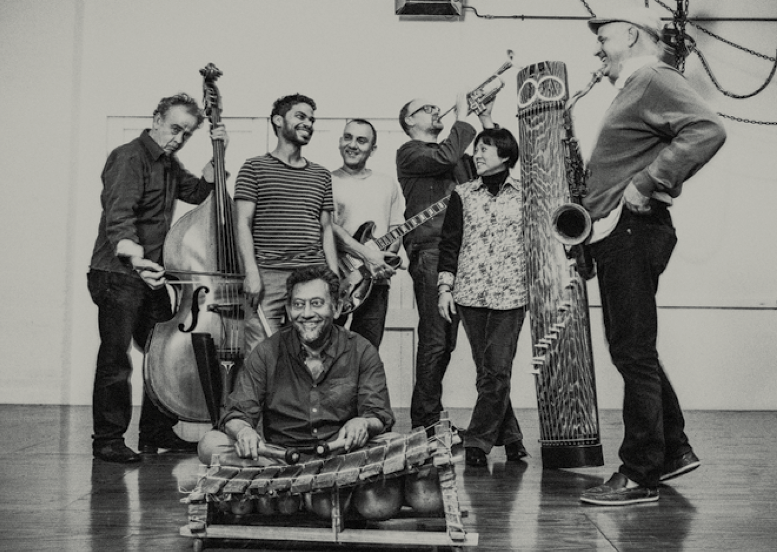 Listeners can expect a soulful, soul-based repertoire with a diverse array of voices and unusual instruments, no Tabla's or Sitar's here. Centre stage is the master folk singer, Raju Das Baul. His amazing stage presence, arresting voice and virtuosic khamak playing showcase the best of the Baul tradition. Deo Mothey bring his enigmatic style from he mountains in Darjeeling, while Kolkata based rock drummer and dubki expert Gaurab Chatterjee (from the famous Bengali band Lakkhichhara), smoothly bridges musical cultures. From Australia, band-leader and saxophonist Matt Keegan and master bassist Steve Elphick complete the unique sound of the band. 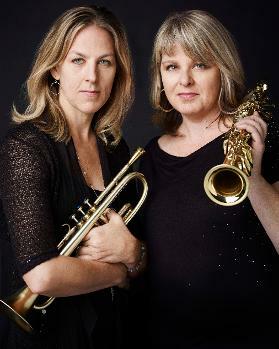 Ingrid has been hailed as one of the most gifted trumpet players of her generation. 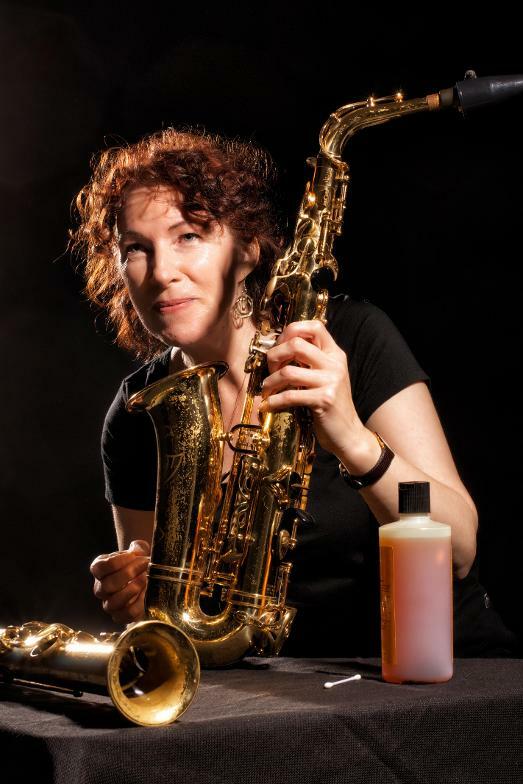 Born in Vancouver and a graduate of the prestigious Berklee Collage of Music, Jensen moved to New York in the late 1990's where she quickly established herself as one of the most in-demand trumpeters in the international jazz scene. 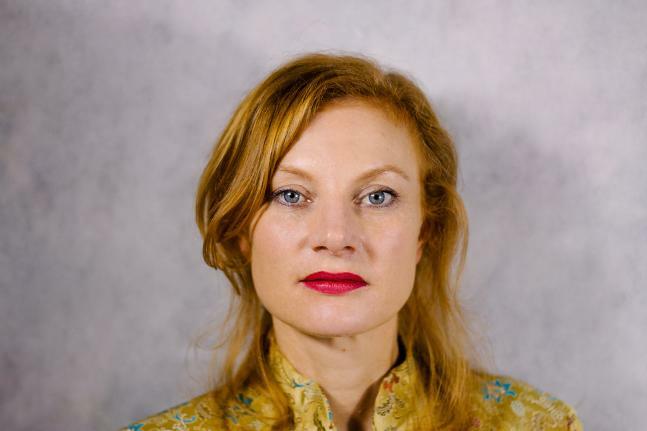 A star soloist of the Maria Schnieder and Darcy James Argue Orchestras one of her closest collaborators is her sister, saxophonist and composer, Christine Jensen. 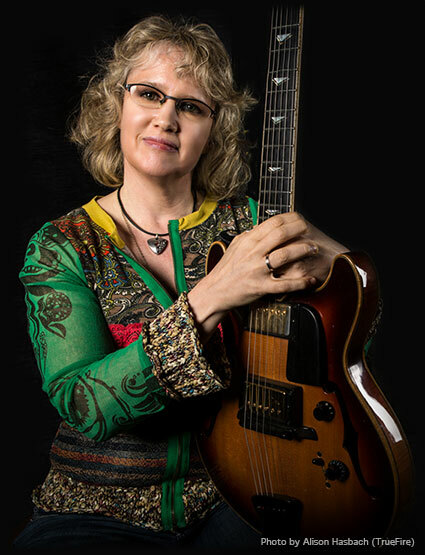 In addition to Christine's own orchestra they co-lead various groups and recently recorded an album with famed guitarist Ben Monder. Supported by the legendary Mike Nock and his trio, this is a rare chance to experience two of the finest horn players in the world at the height of their powers. 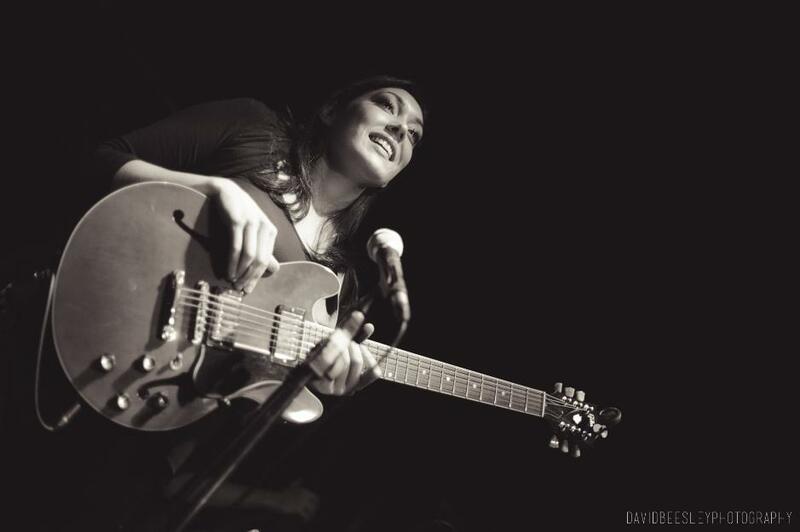 Shannon Barnett (2007 Young Australian Jazz Artist of the Year) is well-known to Australian audiences through her work with The Vampires, The Black Arm Band, The Bamboos, Andrea Keller and Circus Oz. 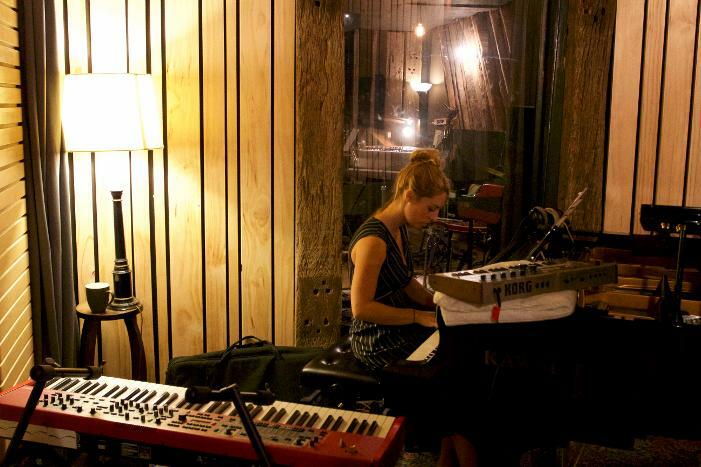 Since 2014, she has been based in Cologne, Germany were she plays regularly in the vibrant contemporary jazz scene. For her performance at the Wollongong Conservatorium, Barnett is bringing her three exciting collaborators - and some of Germany's top sidemen - Stefan Karl Schmid, David Helm and Fabian Arends. Together they bring Barnettʼs compositions to life, which feature space for the development and sharing of ideas, as well revealing a wicked sense of humour. 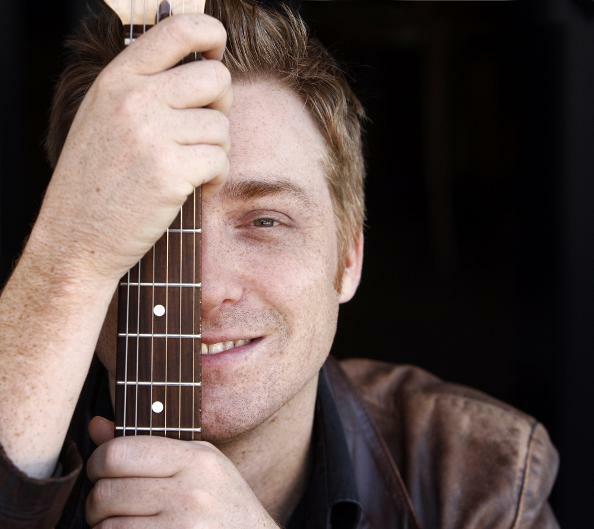 ARIA award winning guitarist James Muller returns to the Wollongong Conservatorium this October. In addition to his usual stellar trio of bassist Sam Anning (2015 National Jazz Award winner and multiple Bell Award winner) and legendary Perth drummer Ben Vanderwal (sideman to John Scofield, Charlie Haden, Chris Potter and George Garzone), Muller will also bring the award winning and exciting young trumpeter Matt Jodrell (runner-up National Jazz Award) for a night of incredible music. This will likely sell-out so be sure to purchase your tickets online. Bungarribee grew out of Gary Daley's renowned Sanctuary project which features a 9 piece ensemble. Daley wanted to experiment with a more intimate group which could explore his compositions as well as create improvisations on gems from the classical and jazz worlds. Featuring some of Australia's most respected contemporary musicians , the Bungarribee quartet traverses diverse musical terrain. World-renowned trumpet player and multi-instrumentalist James Morrison returns to Wollongong for a special performance with the award-winning Conservatorium Jazz Orchestra PLUS an opening set featuring 150 of the Illawarra's young musicians who make up the 2016 Megaband. Young musicians wishing to play in the Megaband and perform with James can register HERE. 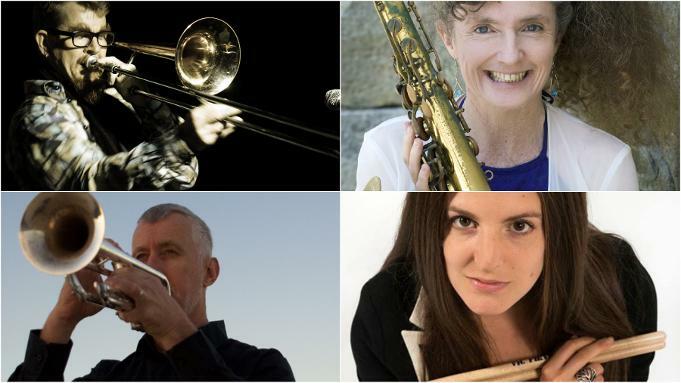 For the first time ever, the Wollongong Conservatorium Of Music Jazz Series is proud to present the Autumn/Winter Jazz Festival featuring three internationally recognized artist performing over three weeks in the Wollongong Conservatorium auditorium. The Conservatorium will be offering a “Festival Pass” which grants access to all three shows at a discounted rate or one can buy tickets to each show individually. Read on below to see the amazing artists who will be playing as part of the festival. 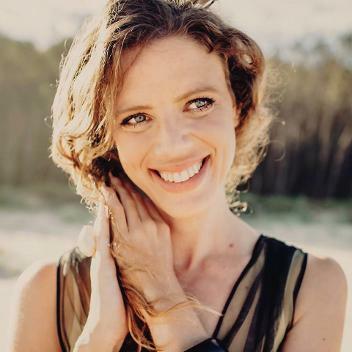 Winner of the Montreux Jazz Festival International Vocal Competition in 2006, winner of the Freedman Fellowship in 2007 and winner of the National Jazz Award in 2012, Kristin Berardi has established herself as Australia’s – and indeed, one of the World’s premiere jazz vocalist. Originally from the North Queensland country town of Koumala, Berardi has since performed at Jazz festival and clubs throughout Europe, Asia and America including supporting jazz legends Al Jarreau and George Benson at the 2007 Montreux Jazz Festival. To kick off the Wollongong Conservatorium Jazz Series Autumn/Winter Jazz Festival, Berardi returns to the Wollongong Conservatorium Of Music to perform her original compositions with her stellar band for a truly world class concert that is not to be missed. 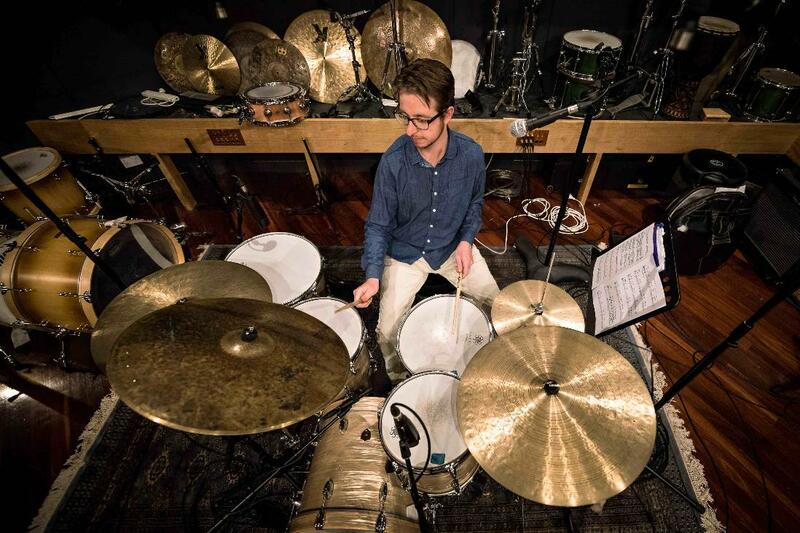 New York based drummer, Joe Farnsworth is regarded as one of the top jazz drummers in the world and with over 70 records behind him – playing with such greats as Wynton Marsalis, Cedar Walton, Ron Carter and Benny Golson to name a few – he can be considered one of the most recorded too. 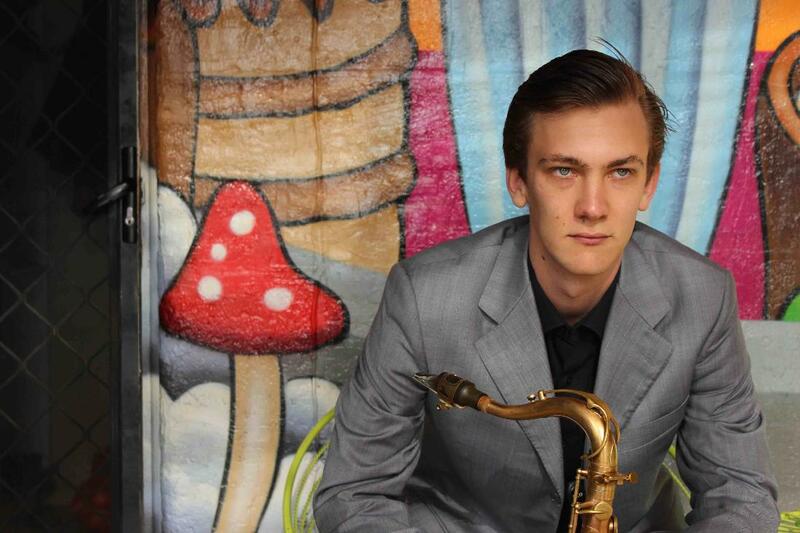 For his first-ever performance in Wollongong as part of the Wollongong Conservatorium Jazz Series Autumn/Winter Jazz Festival, Farnsworth will be playing with a fellow modern great, Australia’s own Dale Barlow (sax), an alumni of Art Blakey’s Jazz Messengers. Supported by Australian jazz stalwarts, John Harkin and Brendan Clarke, this performance promises to be a night of blistering swing and fiery hard-bop. The Vampires’ music is a unique blend of soulful jazz, old-school reggae and all-out funk-laden Afrobeat. 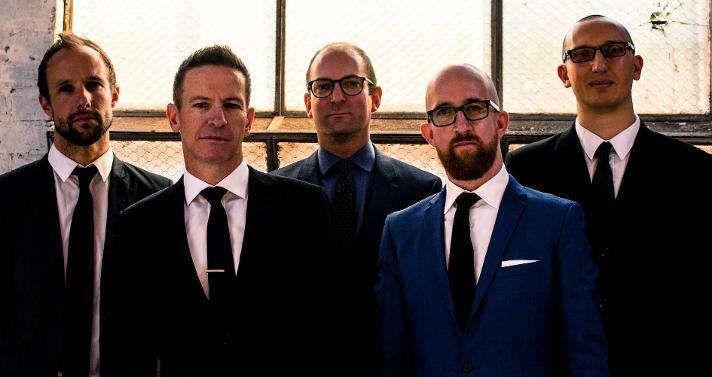 Combined with risk-taking improvisation, sophisticated compositions and an uncanny sense of dialogue and emotion between the sax/trumpet front line, the band defies these genres and has wrought a style of their own. After releasing four critically acclaimed albums and successfully touring extensively nationally and internationally, The Vampires return to the Wollongong Conservatorium Of Music to headline the Autumn/Winter Jazz Festival with modern jazz guitar great, Lionel Loueke (USA). 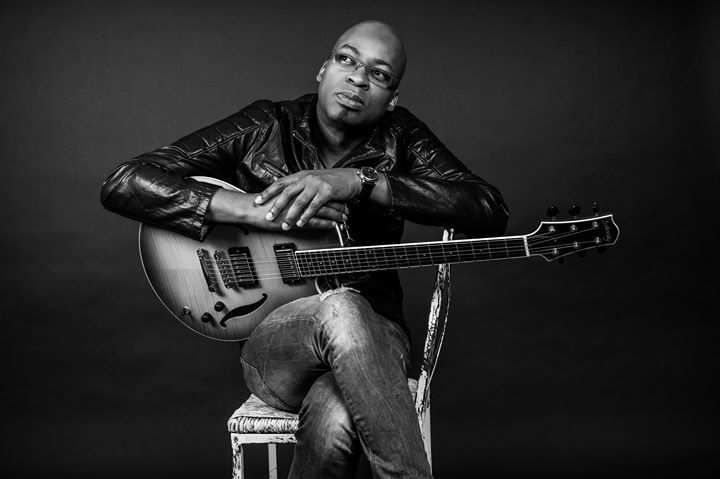 Originally from the West African country of Benin, Loueke left Africa to pursue jazz studies at the American School of Modern Music in Paris before moving to the U.S. to continue his studies the Berklee College. He has since established himself as one of the world’s most outstanding guitarists having played and recorded with Herbie Hancock, Terrance Blanchard, Jack DeJohnette, Charlie Haden and Joe Lovano. The “Lost Thoughts Duo” brings together two of Australia’s most important and influential musicians in Scott Tinkler and Simon Barker. Both leading exponents of traditional music from India and Korea respectively, the duo will present a special discussion concerning their music, their influences and the rhythmic and melodic structures present in their work before performing an intimate set of their compositions. 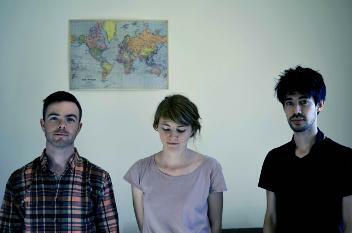 Trioflight play original, improvised, organic and free range music. 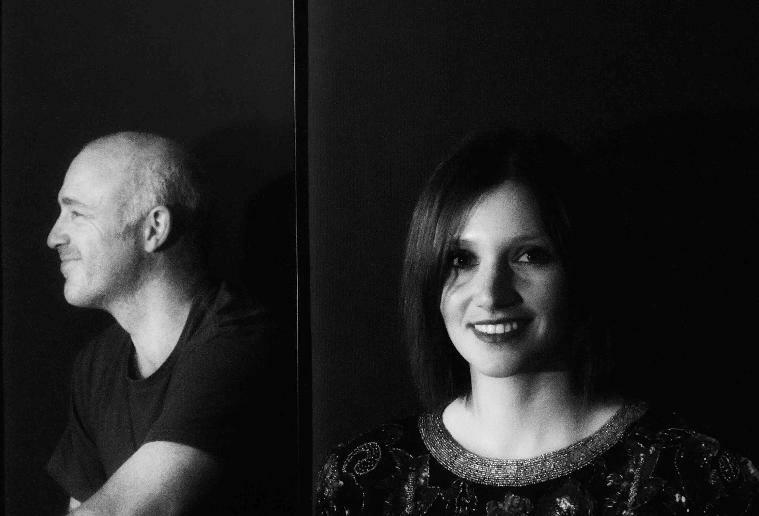 Featuring two Australian jazz powerhouses in Dave Goodman and Nick Southcott plus the young firebrand Max Alduca, they have a uniquely intuitive approach, with an emphasis on beautiful melodies and free flowing spontaneity. 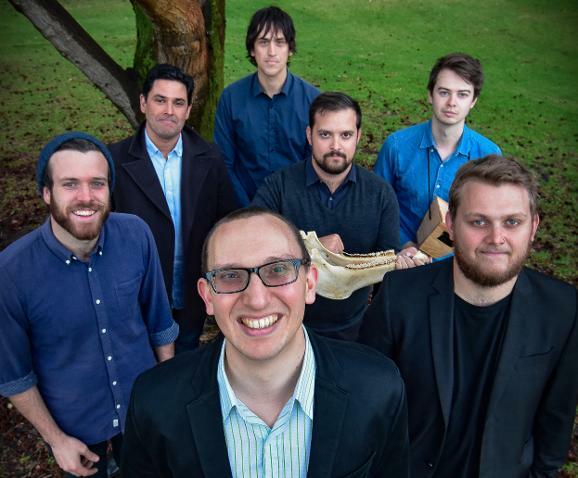 For their debut performance at the Wollongong Conservatorium, they will be presenting music from thier latest release, "The Rumour of Forests and Waves" which draws from a wide range of influences and inspirations including the natural Australian landscape and abstract mathematical concepts. 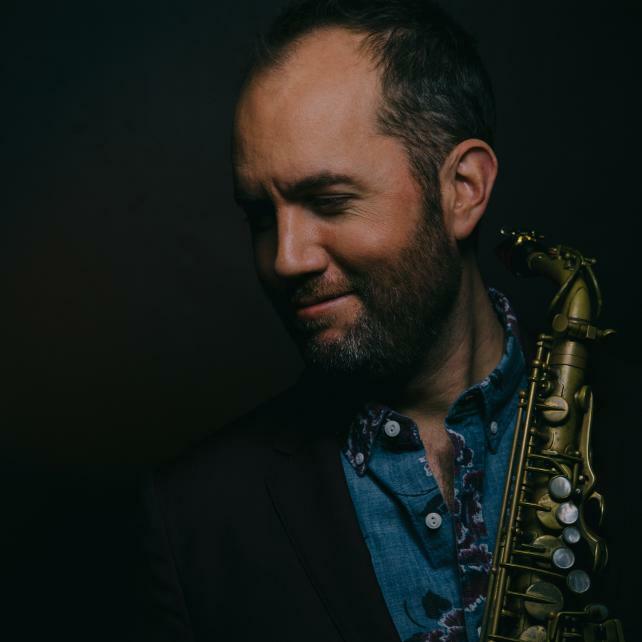 Originally from London, Alto Saxophonist Will Vinson moved to New York in 1999 and has since gained an international reputation as a band leader and sideman. Having played, recorded and appeared with artists as varied and acclaimed as Kurt Rosewinkel, Sujan Stevens, Chris Potter and Martha Wainwright, Will will bring an all-star band of Australian jazz superstars including James Muller, Sam Anning and Ben Vanderwall to the Wollongong Conservatorium Auditorium to play a special and intimate performance. The album launch performance will feature Gavin and Briana performing a duo set of songs from the album, which will then be followed by a set of music with full band, featuring Clint Corbin –drums and Harry Birch - bass. $17G, $13C, $10C online or $20G, $15C, $10 on the door.